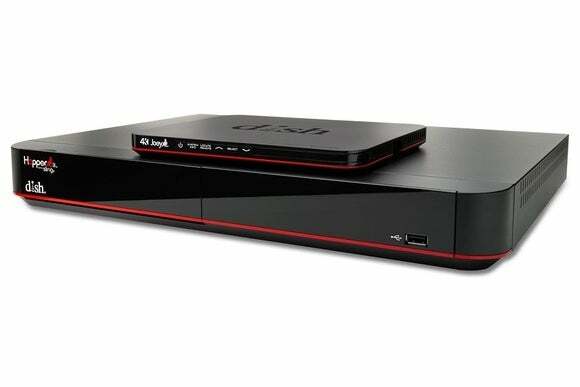 The powerful new box for DVR junkies is available to customers at no up-front cost. Dish Network is ready to save its subscribers from scheduling conflicts with the new Hopper 3 DVR, which supports up to 16 recordings at once. After showing off the new set-top box at CES last month, Dish is now offering the Hopper 3 to qualified customers at no up-front cost, though a $15 per month fee for whole-home DVR applies. Speaking of 4K, the new Hopper also has one killer feature just for 4K TV owners: With a “Sports Bar Mode,” users can watch four 1080p channels at once in split-screen mode, or six channels at once in 720p. This feature, along with 4K Netflix streaming in the coming weeks and a selection of 4K movies on-demand, should help compensate for Dish’s lack of TV channels in the higher-resolution format. Other specs for the Hopper 3 include a Broadcom quad-core processor, a 2TB hard drive (for up to 500 hours of HD video), and USB 3.0 for storing more shows on an external drive. The Hopper 3 also supports 60 frames per second and 10-bit color for 4K viewing, and is compatible with HDR-10 streams for anyone who’s planning to buy an HDR TV this year. Why this matters: As TechHive editor Michael Brown wrote last month, TV providers can either compete with cord cutting and streaming video on price, or they can cater to serious TV buffs with more features. Dish is taking the latter route with the new Hopper, whose 16 tuners edge out cable and telco DVRs such as Comcast’s X1 (five tuners) and Verizon’s Fios Quantum (12 tuners). While the hefty hardware rental fees won’t appeal to people who are weaning off expensive pay TV packages, they could make Dish harder to quit for existing subscribers.